In 2004, the US Department of Defense (DoD) established Directive 8570.1: Information Assurance Training, Certification and Workforce Management. It requires that all DoD information assurance technicians and managers are trained and certified to effectively defend DoD information, information systems and information infrastructures. DoD Directive 8570.01 Directive’s accompanying manual identifies the specific certifications mandated by the Directive’s enterprise-wide certification program. The ultimate vision of the Directive is a sustained, professional IA workforce with the knowledge and skills to effectively prevent and respond to attacks against DoD information, information systems, and information infrastructures. 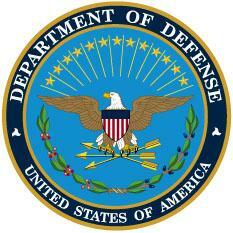 This effort will enable DoD to put the right people with the right skills in the right place. IAT Level I (Tech I) must also obtain certifications required to implement some of the requirements for their specific Operating System environment such Microsoft, Linux, etc. The A+ or Network+ certifications qualify only for Technical Level I and could not be used for Technical Level II positions. All programs listed above in blue and Grey are offered at CertFirst and as well as at its partner locations, Virtual Live, On-site for a group of 4 or more candidates, On-Demand/Self Study programs delivery options may be available for most of the above programs. FREE BIOMETRICS CERTIFICATION TRAININGSign up for any of the DoDD 8570 training program offered at CertFirst and receive Certified Biometrics Security Professional (CBSP) On-demand training for FREE! Contact your CertFirst Account Manager for more details! Legal: Main Program source DoDD 8570 website, CompTIA, Microsoft and other product and certification vendors, All other product names mentioned herein including are trademarks or registered trademarks of their respective owners. The Vendor certification programs and description of their programs are the property of the respective companies.